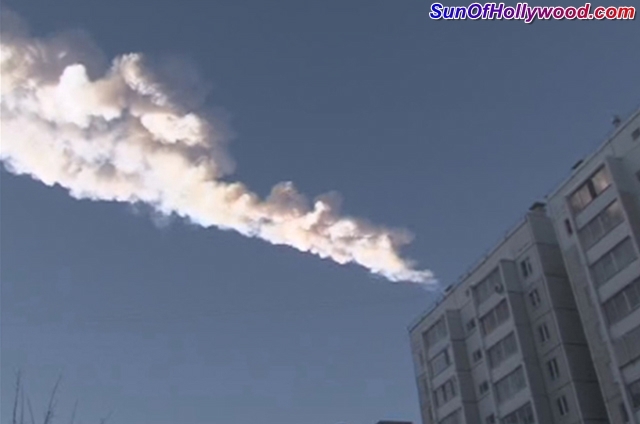 A Meteor Shower is reported to have hit Chelyabinsk region of central Russia this morning. Local Dash Cam Footage and Security Surveillance cameras captured a Meteorite / Asteroid entering the Lower Atmosphere and burning up, leaving a trail of smoke and fire in the sky. The disruption from the meteorite caused problems with cell phones, set off car alarms and shattered windows in buildings all across the region. There have been at least 150 reported injuries, many of which were due to the shattered glass.